The NHRA Finals at Pomona saw Brittany Force earn John Force Racing’s first ever Top Fuel championship, as teammate Robert Hight earned the squad its 19th Funny Car title in his Chevrolet Camaro. On a glorious weekend for Chevrolet, Bo Butner also delivered the Bowtie brand the NHRA Pro Stock title (and the race win), with Eddie Krawiec taking Pro Stock Motorcycle honors. B. Force, Tommy Johnson Jr., Butner and Krawiec’s teammate Andrew Hines were the Pomona event winners. Brittany Force became the first female Top Fuel champion since Shirley Muldowney clinched the honor 35 years ago – and Force did it in style with her fourth victory of the season. Crucially, it was her third win in the six-race Countdown to the Championship, following the points reset. 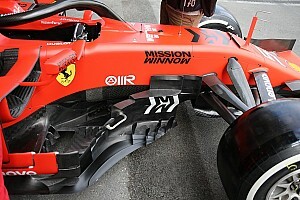 After qualifying No. 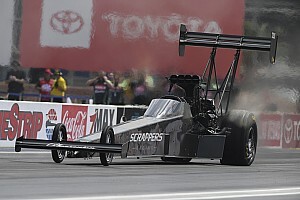 1, Force’s title was earned in the quarterfinals, when her Monster Energy dragster defeated Richie Crampton with a 3.679sec pass at 328.22mph. When (fittingly) outgoing and three-time champion Antron Brown defeated points leader Steve Torrence in his quarterfinal, the crown passed to Force. She went on to (even more fittingly) beat Brown’s Don Schumacher Racing dragster in the semis, and then clinch her fourth win by outrunning Shawn Langdon with a 330.07mph pass as he smoked the tires and trailed in at 89mph. Force, daughter of 16-time Funny Car world champion John Force, declared: “I can’t believe we are here, it seems like a dream. The reason we are here is because of that Monster team and all the support I have and all the sponsors. “We struggled, we had our ups and downs, but we pulled it together when it mattered most. I give all of it up to my crew chiefs, Alan Johnson and Brian Husen, they are the ones that made this possible. They always had my back and they kept pushing me, they never gave up on me – pushing and fighting and never gave up. Despite eight wins this year, Torrence had to be content with runner-up at season’s end ahead of Doug Kalitta, Brown and Leah Pritchett. 2009 FC champion Hight secured his second NHRA Mello Yello Drag Racing Series Funny Car title in the first round of eliminations Sunday. Appropriately at this AAA-sponsored event, Hight took his Auto Club of Southern California Chevrolet Camaro SS Funny Car to a 3.839-second pass at 332.51 mph to defeat Tim Wilkerson, while his nearest title rival Ron Capps lost to Del Worsham, ensuring the crown went Hight’s way. Hight, who won four times this year, went all the way to the final round today but a smoky run handed the event win to Tommy Johnson Jr., who scored his second victory of the season and his first since April, in the Make-A-Wish Dodge Charger R/T. 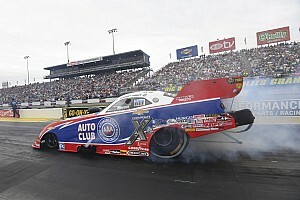 Said Hight: “Everybody worked their tail off … This is just huge for John Force Racing. For a couple of years, we have struggled but it is such a great group. We signed a long-term deal with Auto Club and they deserved better than what we were giving them. Jimmy Prock, Chris Cunningham (co-crew chiefs) – they got us back in the game. Butner, like Brittany Force, claimed his first NHRA Mello Yello Drag Racing Series championship by winning the event. Butner’s first hammer blow to his rivals was defeating teammate Greg Anderson in the semifinals with a 6.551sec pass at 210.05mph. Still Anderson had a chance of the title having arrived in Pomona with a 40-point lead over Butner. However, the Jim Butner Auto Chevrolet Camaro’s victory over Tanner Gray in the final, a 6.653sec run at 208.62mph, brought title glory to the Butner who only earned his first win at Houston in April this year. His championship run was largely down to his extraordinary consistency, with five wins and six runner-up finishes. There were major celebrations at the Screamin’ Eagle Vance & Hines Harley Davidson team on Sunday as Andrew Hines took the event win over newly-crowned teammate Eddie Krawiec. 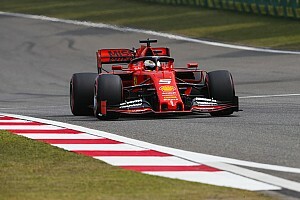 Hines won with a 6.856sec pass at 196.02mph to make it 14 consecutive years in which he has scored at least one win, and his win elevated him to second in the points. TOP FUEL: 1. Brittany Force; 2. Shawn Langdon; 3. Antron Brown; 4. Doug Kalitta; 5. Steve Torrence; 6. Clay Millican; 7. Leah Pritchett; 8. Richie Crampton; 9. Tony Schumacher; 10. Terry McMillen; 11. Wayne Newby; 12. 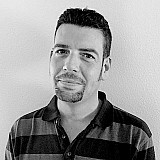 Mike Salinas; 13. Troy Buff; 14. Scott Palmer; 15. Terry Haddock; 16. Shawn Reed. 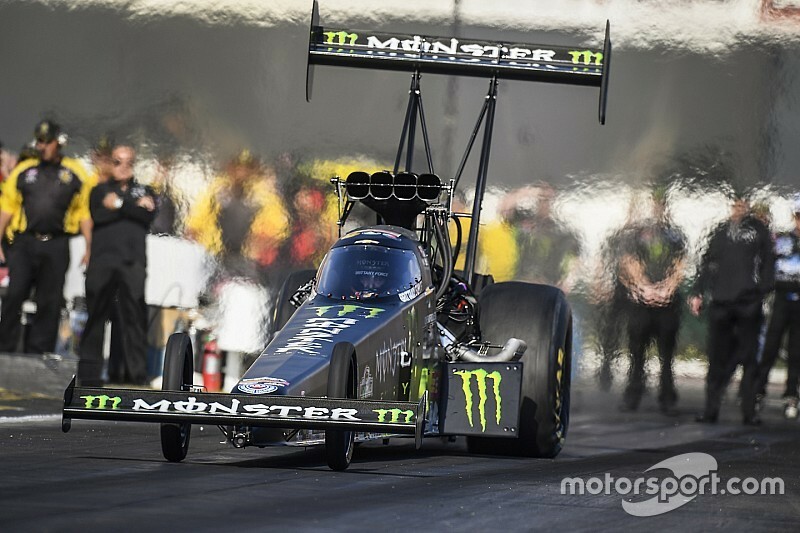 Final: Brittany Force, 3.668 seconds, 330.07 mph def. Shawn Langdon, 9.818 seconds, 89.10 mph. FUNNY CAR: 1. Tommy Johnson Jr.; 2. Robert Hight; 3. Jack Beckman; 4. Courtney Force; 5. Matt Hagan; 6. John Force; 7. Alexis DeJoria; 8. Del Worsham; 9. Ron Capps; 10. J.R. Todd; 11. Tim Wilkerson; 12. Jeff Arend; 13. Jeff Diehl; 14. Bob Bode; 15. Jim Campbell; 16. Gary Densham. Final: Tommy Johnson Jr., Dodge Charger, 3.920, 329.10 def. Robert Hight, Chevy Camaro, 6.827, 103.71. PRO STOCK: 1. Bo Butner; 2. Tanner Gray; 3. Jason Line; 4. Greg Anderson; 5. Drew Skillman; 6. Jeg Coughlin; 7. Erica Enders; 8. Brian Self; 9. Chris McGaha; 10. Alex Laughlin; 11. Matt Hartford; 12. Alan Prusiensky; 13. Shane Gray; 14. Allen Johnson; 15. Deric Kramer; 16. Kenny Delco. Final: Bo Butner, Chevy Camaro, 6.554, 210.70 def. Tanner Gray, Camaro, 6.653, 208.62. PRO STOCK MOTORCYCLE: 1. Andrew Hines; 2. Eddie Krawiec; 3. Matt Smith; 4. LE Tonglet; 5. Scotty Pollacheck; 6. Chip Ellis; 7. Jerry Savoie; 8. Joey Gladstone; 9. Angie Smith; 10. Steve Johnson; 11. Katie Sullivan; 12. Ryan Oehler; 13. Lance Bonham; 14. Freddie Camarena; 15. Karen Stoffer; 16. Hector Arana Jr. Final: Andrew Hines, Harley-Davidson, 6.856, 196.02 def. Eddie Krawiec, Harley-Davidson, 6.930, 177.58. TOP FUEL: 1. Brittany Force, 2,690; 2. Steve Torrence, 2,609; 3. Doug Kalitta, 2,553; 4. Antron Brown, 2,508; 5. Leah Pritchett, 2,452; 6. Clay Millican, 2,419; 7. Shawn Langdon, 2,406; 8. Tony Schumacher, 2,395; 9. Terry McMillen, 2,310; 10. Scott Palmer, 2,218. FUNNY CAR: 1. Robert Hight, 2,686; 2. Ron Capps, 2,588; 3. Courtney Force, 2,543; 4. Jack Beckman, 2,519; 5. Matt Hagan, 2,470; 6. Tommy Johnson Jr., 2,452; 7. John Force, 2,388; 8. Tim Wilkerson, 2,296; 9. J.R. Todd, 2,282; 10. Cruz Pedregon, 2,178. PRO STOCK: 1. Bo Butner, 2,731; 2. Greg Anderson, 2,724; 3. Jason Line, 2,644; 4. Tanner Gray, 2,558; 5. Drew Skillman, 2,476; 6. Erica Enders, 2,367; 7. Jeg Coughlin, 2,318; 8. Allen Johnson, 2,284; 9. Chris McGaha, 2,257; 10. Vincent Nobile, 2,052. PRO STOCK MOTORCYCLE: 1. Eddie Krawiec, 2,783; 2. Andrew Hines, 2,614; 3. LE Tonglet, 2,591; 4. Scotty Pollacheck, 2,492; 5. Jerry Savoie, 2,472; 6. Matt Smith, 2,454; 7. Hector Arana Jr, 2,453; 8. Karen Stoffer, 2,301; 9. Joey Gladstone, 2,280; 10. Angie Smith, 2,258. Drivers Andrew Hines , Bo Butner , Robert Hight , Eddie Krawiec , Brittany Force , Tommy Johnson Jr.